We are the manufacturers of all kind of Overhead Type Cylinder Filling Manifolds for cylinder filling stations. 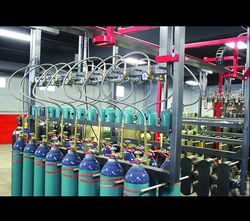 Different type of manifold system is used in gas industries for which we can supply them our best with the better solution. We provide Mobile Cylinder Filling Stations with various capacity as per requirement. 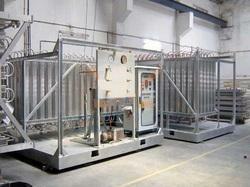 We manufacture and supplies Ground Mounted Cylinder Filling Manifolds to customers specific requirement. 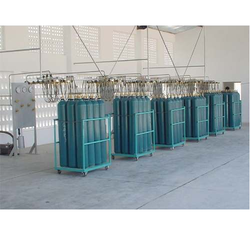 We focused mainly on high end complex - calibration gases / liquid mixture to substitute imports in the industry segment of Refineries, Petrochemicals, Chemicals and Laser Application. We provide Mobile Automated Cylinder Filling Manifold System for automatic Cylinder filling station as per requirement with Different capacity.